The LSF is a three day festival that attracts over 500 delegates with a mix workshops, seminars, panels and networking events. 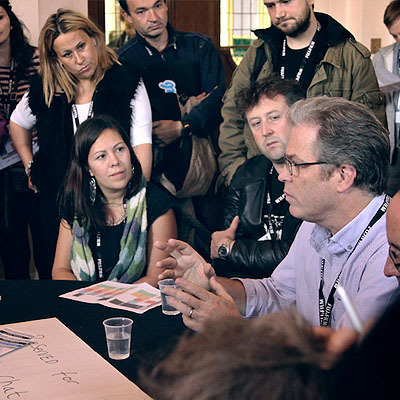 These focused and detailed sessions are delivered by over 100 industry experts. At any given moment, there are always four different events to choose from. We film most sessions too so that if delegate misses one, they can catch it later. 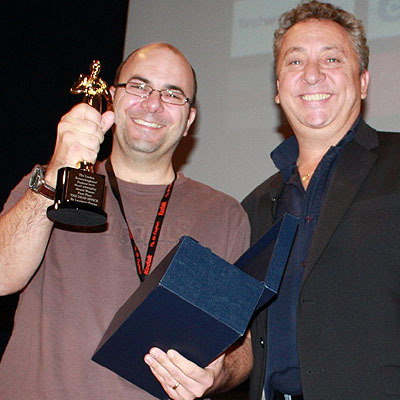 The emphasis of the festival is on Screenwriting for film and TV, though we do bleed into allied areas such as writing for radio, computer games and transmedia. Our sessions are designed to offer practical and pragmatic advice, support and training that is immediately useful to our delegates. 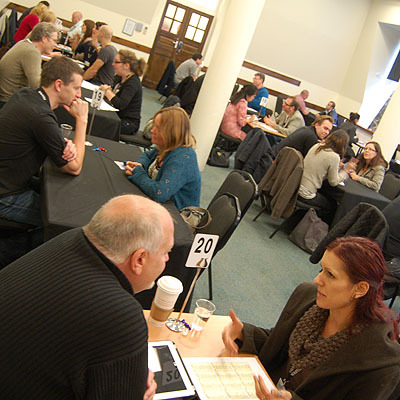 Underpinning everything at the festival is networking and community. We have a 97% delegate recommend rate from past delegates. Every delegate is offered the opportunity to pitch either themselves or their project to professional producers and agents. Internally, we marry up writers with specific producers and agents to maximise the opportunities from the meeting. Already we have had a number of success stories with screenwriters either getting optioned or representation. We run several competitions year round, designed to get writers writing and film makers producing the writers screenplays. This year we are running a competition called ‘50 Kisses’ where the fifty winning short scripts are offered to film makers who then produce these screenplays – we end up with 50 winning short films, from which we will produce a feature length film to be released next year. The emphasis is on taking action that creates opportunities and real world results. All our competitions are free to enter so there is no barrier to entry. Six screenwriters get an opportunity to spend an afternoon with an expert in their field – maybe a screenwriter, producer or commissioner. For instance, last year, Pixar staff writer Dave Reynolds worked with six writers who had completed family film screenplays. 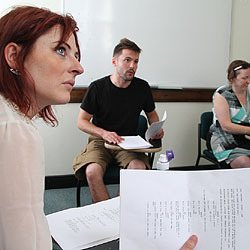 There are six intense Script Labs at the festival in 2012. LSF delegates will be invited to submit projects in late summer 2012. After each session, speakers are invited to meet delegates in round table sessions. These informal and intimate chats can often run for hours. This is our way of giving direct access to specific experts that our delegates want to hear from. And we have found that even the biggest names are happy to spend time coaching and sharing in Script Chats. 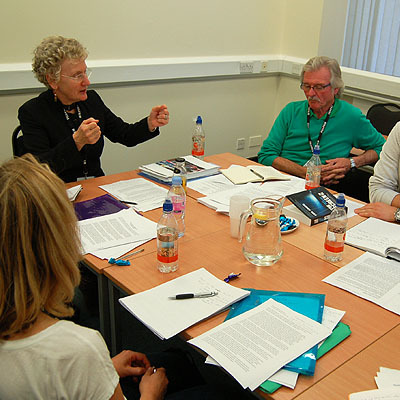 All LSF delegates are offered the opportunity to get expert feedback on their screenplay. 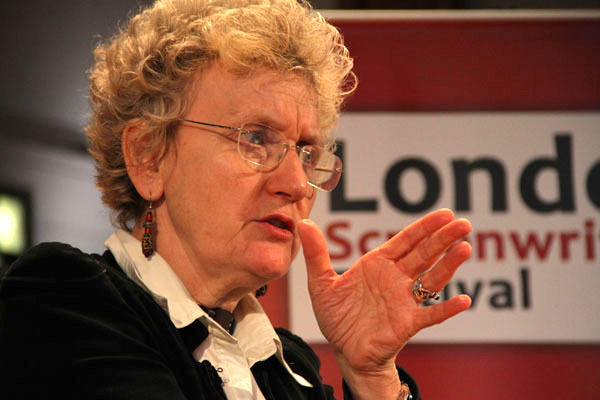 In conjunction with Euroscript, delegates send in their screenplays which are then read by Euroscript professionals, before they are booked in for their half hour session with the reader over the three day festival. Alongside the real world event, we offer a dynamic and vibrant online network that keeps the community vibrant – it’s kind of our own private Facebook for LSF delegates. The network is where we also share the video sessions from past festivals (there are now over 70 online sessions from over 200 speakers and nearly 1000 members, both delegates and speakers). 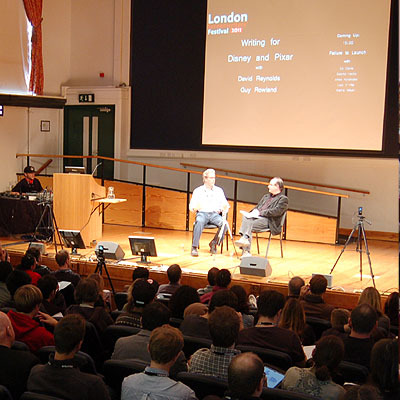 For years we have run extremely successful script-to-screen events where delegates get to read a shooting script, then watch the completed movie, then directly after the film ends, enjoy an intimate seminar with the filmmakers – films have included ‘Shifty’, ‘Nowhere Boy’ and ‘Exam’. 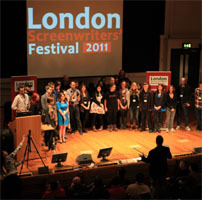 We intend to run two Script-To-Screen events at LSF 2012. Every delegate will be offered the chance to workshop one scene from their screenplay with professional actors. This will give them insight into how their words are made real by actors, and the challenges faced by filmmakers. These sessions will be open to small groups of viewers so that other screenwriters will get the chance to see other writers scripts being work shopped. It’s worth saying again that core to the whole event is community and networking. Our delegates report that above all, the opportunity to network with screenwriters like themselves, as well as our speakers, is extremely valuable. We work hard to create a space where everyone is equal and everyone has something to contribute. And it’s this ethic that we believe creates the magic.